The Polo Sedan, Touareg and Passat units are ideal for DNS’s diverse and discriminating business clientele. 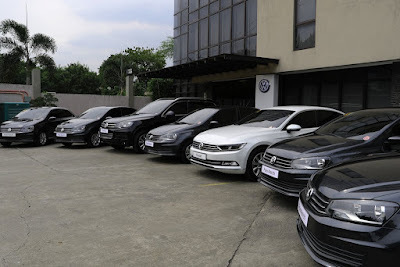 The 5th-generation Polo has been a favored sedan of young professionals for its superior build quality despite being in the entry-level category. The mid-size Touareg SUV offers a high level of comfort and power in all driving conditions, highlighted by the permanent 4Motion 4-wheel drive with air suspension. The mid-size premium Passat, on the other hand, has been awarded the 2015 European Car of the Year as well as the 2015 Geneva Motor Show for Best in Class Performance for interior and technology.